Whenever a new token is unveiled, people are always curious to find out what wallets can support it. In most instances, it takes a while for a new token to be accepted by well-known wallets. But once it achieves universal acceptance, its price is usually known to skyrocket. Cardano wallet is still relatively new and because of this, it’s token- ADA, is still yet to be accepted by other wallets. As of September 24th, 2018, there is only one prominent wallet provider for Cardano – DAEDALUS. The DAEDALUS wallet is the one and only official wallet provider of the Cardano token Ada and was developed by the Cardano team. The DAEDALUS wallet is well-made, but it does feel a bit like an experiment by Cardano or just a way to show off what they are capable of. 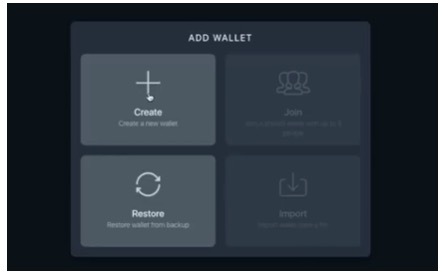 To really be a top-tier wallet, it should really be more accessible for everyday use, however, this is most likely down to how young it is and over time it may prove itself to be a high-quality wallet provider. Unfortunately, DAEDALUS is yet to support other cryptocurrencies, so if you decide to download it, you will only be able to use it for Ada tokens for now. This is a bit frustrating for those in the crypto community and traders who are interested in the development of numerous coins as it means downloading a whole wallet just for one cryptocurrency, which can be off-putting. That said, DAEDALUS will be able to accept Bitcoin and Ether in the future, though it hasn’t been specified when this will happen. DAEDALUS boasts that it has ‘advanced security’. The main strength they claim to have with their wallet is that they do not hold your keys, only you do. This means that only you can access your funds. This, in turn, adds an additional layer of trust to users. You can download the DAEDALUS wallet directly from their website. It is available for Windows 64 bit and mac 64-bit operating systems, with Linux coming later in the future. If you decide to download the wallet, it is advised that you check the system requirements in detail first. The Infinito wallet is a mobile wallet that accepts several cryptocurrencies, supposedly including Ada by the September 25th, 2018. If this does happen, then Ada will be a lot more widely available for people to use, which is a big plus. However, it does raise an important question; will the DAEDALUS and Infinito wallets have some cross-platform arrangement to make it easy to move Ada from the desktop to the mobile? Or will another wallet come later that will beat them both by providing both desktop and mobile access? Because Cardano’s technology is so innovative, wallet providers will likely be soon racing to accept Ada tokens. Currently, while DAEDALUS is well-made and may soon have some amazing features, it isn’t too practical. Those who want to invest in Ada really must believe it is the next best thing. On the other hand, the Infinito wallet shows more promise as a practical wallet provider by being able to accept other tokens aside from Ada. However, that doesn’t mean people should race off and download that one either, at least not until it proves itself as a viable alternative to the DAEDALUS wallet for Ada storage. Perhaps the best option for those interested in Cardano and Ada would be to wait a little longer to see which one comes out winning or if another alternative hugs the limelight sooner.